Strong brand and advanced systems helps WIN Franchise Owners dominate in rebounding residential real estate market. WIN Home Inspection is the most advanced home inspection franchise in America, with a strong brand, a savvy marketing strategy, and innovative technology that has helped its Strategic Partners establish strong businesses nationwide. Our strengths create opportunities. 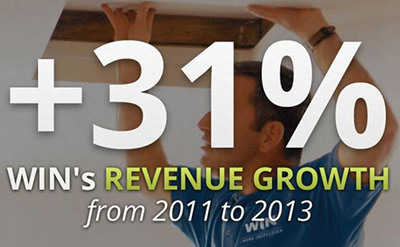 WIN’s revenue grew 31% from 2011 to 2013, and WIN expects strong revenue growth to continue. WIN is a home-based business and a low-cost franchise, with startup costs that begin at $33,900 (and which can be even lower for veterans). WIN franchises that have been open for three years or longer generated an average revenue of $112,644 in 2013, up 12% from the year before. Fifty-eight WIN owners exceeded that average revenue amount, generating an average of $180,559 in 2013. Demand for services is huge. 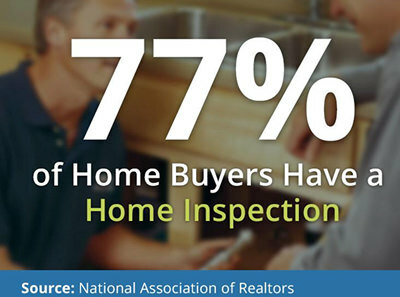 About 5 million homes were sold in 2013, and 77% of buyers paid for a home inspection, according estimates from the National Association of Realtors. There’s just one problem: The demand for home inspectors is outpacing the supply. The recession drove part-time and unprofessional inspectors out of business. 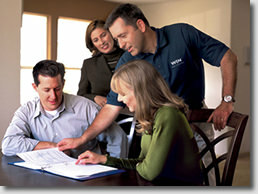 The WIN Home Inspection franchise did just fine, soaking up the available business during the downturn. Now that the real estate market is roaring back to pre-recession levels, WIN Home Inspection franchise owners have been gobbling up market share. Almost all lenders require a home inspection, and real estate agents recommend them. In 2013, WIN’s average price for an inspection was $375, with inspectors often doing two or three a day. The demand, and the revenue potential, is huge. What Makes WIN Stand Out? 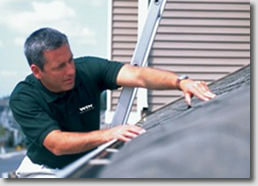 WIN thrives in the industry by offering a better, more thorough inspection and a friendly, professional experience. Our founders — Tom Knapp, a prominent Seattle real estate developer, and Dianne Knapp, a real estate broker — started WIN after seeing how hard it was to find a truly professional home inspector. Often, home inspectors pulled up in a beat-up pickup with a ladder hanging out the back, wearing tattered jeans and a dirty T-shirt, not looking very credible. Other inspectors unnecessarily spooked clients, figuring that their job wasn’t just to assess the home’s quality but to try to tear a house apart like a drill instructor with a first-day cadet — painting every fixable, minor issue as an apocalyptic scenario. In the process, they were scaring people out of good homes. Worst of all, inspections were inconsistent. After one laundry list of fixes was made, the next home inspector might conduct a completely different inspection and generate a completely different list. The inconsistency itself created a pair of problems. One, good homes would be run through the wringer multiple times, with sellers fixing nit-picky items that were presented as “deal breakers” by some inspectors. Second, the inconsistency meant that inspectors would sometimes miss actual issues that needed to be addressed. The home inspection process was broken. WIN Home Inspection was started in order to create a home inspection franchise that would offer home buyers, sellers and real estate agents a professional, thorough and consistent inspection process. We believe home inspections should provide clarity and confidence, not anxiety. And we believe a strong brand and consistent experience inspire confidence in both real estate agents and home buyers. This leads to WIN home inspection franchise owners earning referrals from agents, which in turn leads to higher revenues and profits. The brand difference is the first thing a home buyer notices. When a WIN inspector arrives for an inspection, they pull up in a white van, SUV or crossover vehicle branded in WIN colors and with the WIN logo, and they emerge dressed in a WIN-branded polo. Inspectors tote a tablet or convertible PC that is used to perform the inspection. Everything about our inspectors’ appearance and demeanor is designed to be welcoming, crisp and professional. WIN’s proprietary software helps inspectors perform a consistent inspection, guiding them through the various parts of the home, providing checklists of items to inspect and allowing the inspector to make notes that are incorporated into their home inspection report. The software streamlines the inspection process and makes it faster and easier to generate reports, saving inspectors time, which helps them do more jobs and make more money. While performing inspections, WIN also takes the opportunity to educate home buyers about their new home — “here is the main water line shut-off valve,” “here is your electrical panel” “here is how to operate your water heater and HVAC,” “here are the air filters you need to replace each month.” These things, which might seem obvious to a veteran home inspector, are often unfamiliar to a new home buyer, and WIN inspectors take the time to make sure customers understand their home. Who Makes a Great WIN Owner? You don’t need a background in construction, carpentry, roofing or engineering to be a great home inspector. What matters the most is attitude and your approach to business. Many of our most successful Strategic-Partners didn’t start out with extensive experience in construction or other technical fields. More often than not, we’ve found that the common denominator they did have was a willingness — and an aptitude — for communicating with customers and learning the ABCs of local networking and marketing. Bert Welsh, a WIN Home Inspection franchise owner in Fresno, CA, believes people skills often outweigh a technical background when comes to the making of an excellent home inspector. 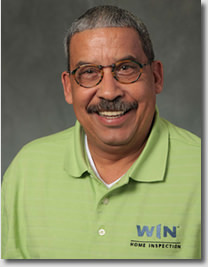 He says WIN’s leadership and systems help set the brand apart. To learn more about WIN, fill out the form below! WIN Home Inspection Franchise is currently accepting inquiries from the following states: Wyoming, West Virginia, Wisconsin, Washington, Vermont, Virginia, Utah, Texas, Tennessee, South Dakota, South Carolina, Rhode Island, Pennsylvania, Oregon, Oklahoma, Ohio, New York, Nevada, New Mexico, New Jersey, New Hampshire, Nebraska, North Dakota, North Carolina, Montana, Mississippi, Missouri, Minnesota, Michigan, Maine, Maryland, Massachusetts, Louisiana, Kentucky, Kansas, Indiana, Illinois, Idaho, Iowa, Hawaii, Georgia, Florida, Delaware, Washington, D.C., Connecticut, Colorado, California, Arizona, Arkansas, Alabama, Alaska.